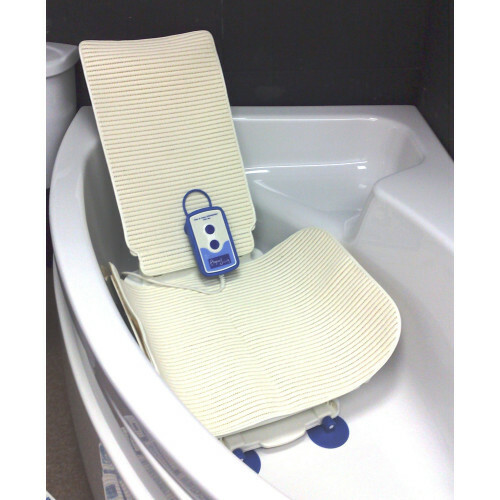 Drive AquaJoy Premier Plus Reclining Bathlift makes getting in and out of the bathtub safe, simple and worry free. Reclining design for comfort. Heavy-Duty seat and base provide maximum stability and support. 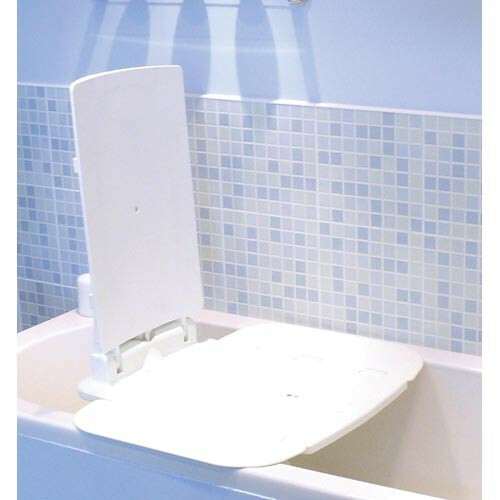 Easy release suction cups on base provide maximum stability in the tub. 375 lb weight capacity. 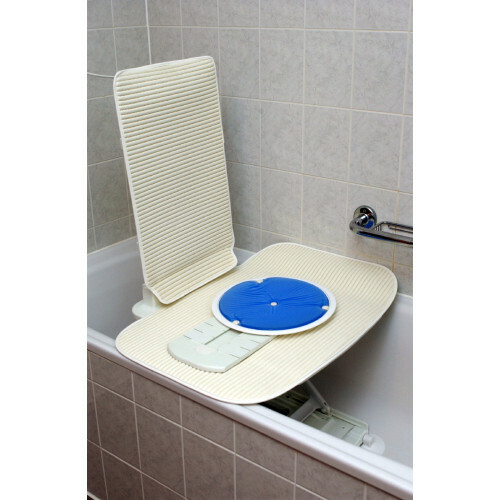 This bath lift will only adhere to tubs with a smooth surface. Textured tubs or those with glue-on grip strips are not compatible with the suction cups. 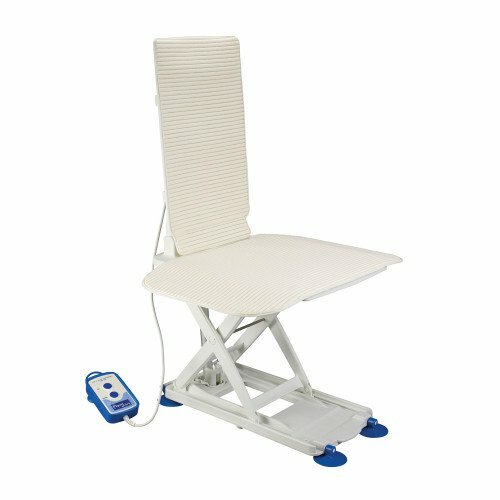 Seat Width with Flaps: 27"
Seat Width without Flaps 15"
Lifting Range: 3.1" to 18.1"